Ready to buy a new cheap smartphone - any gotchas? Can I uninstall all the Amazon bloatware and use Google voice helper? I am using Verizon. I assume I just swap sim card and my SD card and I am good to go? Will everything like Voicemail and Mobile Hotspot work? Re: Ready to buy a new cheap smartphone - any gotchas? Verizon is making a change later this year that will make some phones that work now stop working. You don't want to stumble into that by accident. This thread discusses the problem with Verizon and Apple 5 phones. I don't know if phones from other brands are affected or not. Non-Google, non-Apple phones will likely have delays in OS upgrades and the manufacturer/carrier may stop making OS updates available. I had a Moto phone that came with Android 6.0 and when I bought it, it was advertised that Android 7.0 would be available for it. About 2 years after Android 7.0 was released, it was made available for my phone and I was told no more OS updates would be made available. If you don't use many apps or only use really popular ones (Facebook, Instagram, Google apps, etc), you should probably be OK. But at some point, they stop supporting older OS versions also. Also, app developers can't test on every phone, so the less popular your phone is, the more likely some of your apps weren't tested on it. You may have trouble getting support for device-specific issues for unpopular phones. Verizon is phasing out 3G. This is not a concern with phones on the market now, all of which work on LTE. The iPhone 5 doesn’t have it, but that’s because it came onto the market almost 7 years ago. Easy solution is to get rid of Verizon. There are too many carriers out there to let that be a consideration. Moto E Plus has 5000 mah battery. I'm currently using the e4. Yeah. Except I need my phone to work. I assume, but do not know for sure, that this change is for all Verizon minutes, even if sold by another carrier. Maybe that's wrong. That seems like a decent enough phone for the $$$$. I believe you can disable or uninstall most of the Amazon stuff. To get rid of the lock screen ads you need to install an app I think. However, for $20 more you can get the phone without that garbage. With regard to the updates (or lack thereof) mentioned above, if you get an Android One phone you will get all the updates in a timely matter. It is basically a phone that uses minimal (or no) brand specific stuff and gets updates fast. A few companies make them like Nokia, Motorola, etc. Be aware of the "ghost touch" issue. My wife had that exact phone when it first came out, it lasted all of 6 months before it became almost unusable regardless of how many times she reset it. I have a moto G6, no issues to date. He is getting an unlocked phone that will work on any network. Yes, but your comment seemed to be about my phone and your suggestion seemed to be for me to get rid of Verizon, not the OP. I don't see any way to do that. Did I misunderstand? I assumed your post was directed to OP. I have a Motorola bought in September 2017. It cost something over $200. Perfectly adequate. I've had iphones; don't see what all the fuss is about. Next phone will probably be a cheap one. My wife had "halo" phones for close to a decade. The technology is advancing so fast that it makes no sense (for us) to buy (actually, my phone is employer-provided) top-of-the line phones because a budget model will be superior within 3yrs. I can't imagine wanting to do anything that my $200 moto g6 isn't capable of. They all have a very limited useful life anyways: more limited for my wife, less limited for me (I'm on my 4th phone in 20+ years).Then again, I'm not the normal person who spends hours per day (or even minutes) with the phone in my face, I'll go days at a time without even touching it. I still have a 3 year old Moto G4, one of the predecessors to the current G7; although it is no longer my main phone (which is a Moto x4), I have used the G4 on occasion in the last several months and it has been fine for what I do - phone calls, email, photos, etc. (no games). i paid less than $150 for it then and it is still perfectly good today. I still cannot imagine why people spend $1K on latest iPhone every year. People can spend hours on their phones every day. If its application are important to you, then $1k is not at much at all. Cell phones, for many people, perform the functions of computers, media players, cameras, newspaper, and so on. $1k is a bargain for a better experience through speed, interface, better camera, better screen, more battery life, etc. As far as non-essential spending is concerned, you might instead spend much more than $1k on nice clothes, car, or a watch. None of these probably provides the same utility improvement as the phone. I bought a Moto G6 and have not missed the Iphone 7 (that my wife is now using). Using Google Fi and the service has not been an issue. Switched from Verizon. The Motorola phones are a phenomenal value, especially when they go on sale. My wife and I each have the 64gb Moto Z2 Force. Mine was $140, hers was $100. Can't believe I lived so long w/out USB-C. This discussion is very timely for me as I am currently cell phone shopping and wanted something cheaper than the high end phones. I prefer my digital camera with 14x zoom for photography. I don't anticipate using my phone's camera except for convenience (e.g., when I don't want to write down product specs when I'm shopping). I have a laptop and a tablet for internet browsing at home so I don't need the fastest processors on my phone. I will be out of the country in a few weeks and have been looking at the best way to get cell service overseas. This discussion got me interested in Google Fi. Has anyone used it in France? I've read countless articles on cheaper smartphones over the last 6 months or so. The Moto G6 was typically mentioned. The G7 is out now and has also been said to be very good. It is around $250. I think it is worth it compared to something super cheap that is under powered, may not get security updates, etc. Last edited by michaeljc70 on Wed Apr 03, 2019 5:15 pm, edited 1 time in total. I have Fi and I have used it successfully in Germany, Italy, Austria, the UK, and several Balkan countries. Not France, to be honest, but it has worked everywhere in Europe I have been so far. The thing with a refurbished phone I worry about is how worn the battery is. Especially since a battery that doesn't last is the number one reason I replace my phone. Personally, I've always found buying a used iPhone is the best option. Might not be what you're looking for but in terms of quality, reliability, fast updates, without bloatware or crashing apps, and phone longevity, it can't be beat. I generally buy a 1-2 year old iPhone off swappa for ~ $350, keep it for 2-3 years, then resell for $200. More recently I upgraded my 6s+ to a new XR which only cost $500. I say only because it's a flagship that will easily last 5+ years, but more likely I will resell in about 3 years for $300. I had Google Fi on my mind even for the original poster. They have the Moto G6 for $99. There is no contract, you must activate the phone for a month of service. I have used it in many countries, including France. Their data speed is adequate for things like maps and uber. You can also get free data sims for other phones in your travel group. They have other phones with lesser discounts as well. I've been buying used phones on ebay for years. Wait for the right phone in an auction and you'll spend substantially less for something nice. Refurbished iPhones are available directly from Apple. They have new batteries, screens, warranty, etc. Another plus about buying directly from Apple is that you'll get an unlocked model (7,8 or X) that will work on all 4 US carriers. Apple used both Intel and Qualcomm modems in the 7,8 and X models. The Intel equipped ones, even if they’re unlocked really won’t work on Verizon and will not work period on Sprint. TMO & ATT are no problem. The Qualcomm equipped ones will work on all 4 US carriers, which is what Apple sells. Something to be aware of: Not all iPhone 7,8 and X models are the same. Last edited by DarthEnol on Thu Apr 04, 2019 3:01 pm, edited 2 times in total. I have only ever purchased used phones off Craigslist/Facebook Marketplace. The Moto G6 was obtained directly through Fi because they were giving a great deal for trading in my Iphone 6 plus (I would've sold it on the secondary market but it had some issues that affected its resale value). I am quite impressed with it given the cost. The camera is nothing to write home about but I barely take pictures on it anyway. The only issue I had was that I ordered a Black Phone and they sent me a Pink one but then gave $60 in service credits for my troubles! Google Fi customer support is a little cumbersome to deal with though as almost everything goes through an escalation process. $12 each at antique shops. Both in excellent original (1964) working condition. Added bonus: We get to go for walks, go out to the occasional dinner and even go out of town on vacation and nobody bothers us at all. Plus we are still good at trip planning using an atlas and we never have to worry about getting a ticket for texting while driving. Not too long ago was switching to t-mobile. Walmart had the tmobile generic type of phone plan that used the same t-moble network, so bought some of the new phones that were much cheaper than buying at the actual tmobile shop to use for new tmobile brand service. We couldnt use those brand new phones because brand tmobile service had a clause that they would only "unlock" phones that had been on that generic walnart tmobile plan for the last 6 months. Had to take those less expensuve phones back to walmart for a refund and we had to buy the more expensive phones directly from the tmobile shop. OP, dont know if verizon had such a clause, but worth verifying they dont and any phone will work. My 2 cents from a technology illiterate person. If you have plenty of money and only care about the latest technology, buy the most expensive phone you can afford. If you are frugal there are other options out there where you can save some money and experience a good quality cell phone. Check out Clark Howard's website for buying a cell phone. Keep in mind that 5G is coming in the near future, especially if you live in a major metropolitan area. I have one of these phones and still use it; however, it only works for incoming calls. I can't make outgoing calls with it. 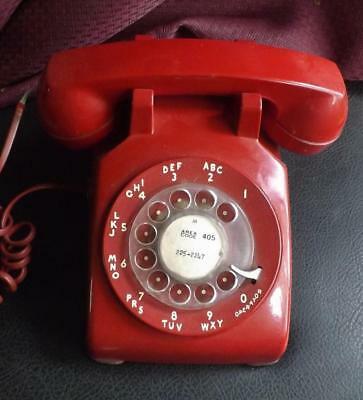 We can still make calls with these but in these new times where you have to dial area codes even for local calls it takes longer to dial - that's for sure. (especially when there are a lot of nines and zeros in the numbers) A little over a year ago we upgraded our home internet service to Fiber Optic and went from 3-5 Mb/s to a supposed 200 Mb/s. (not really that fast with wireless) The technician had to call in and have the guy at the distribution unit switch our internet over to fiber but keep the phone line as copper so our phones would still work. We do also have an older cordless phone with a built-in answering machine so people can leave us messages during those times when we're out for walks, dinner, vacations etc. Interesting, how do you know it is three generations out of date? Do I need to upgrade to current Android system? Oops, my mistake. I thought you were looking at 4th Gen Moto G (the current Moto G is 7th Gen). Moto G6 and X4 are actually very comparable phones. The Google FI deal is tough to beat though. That phone has Android 8 (previous Android version) and says it will be upgradable to Android 9 (the current version). I wouldn't expect to get any upgrades past that. My previous Moto phone came with Android 6 and said it would be upgradable to Android 7. Nearly 2 years after Android 7 was released, it became available for my phone and Moto said there were going to be no more updates. iPhone SE. only available from Apple.com. Small and very economical.